If Your WordPress Site Runs Slow. . .
With thousands of shiny plugins out there promising to do amazing things for your website, it’s easy to get caught up and catch plugin fever. Soon, you’ve got plugins controlling every function and feature on your site—you might even have plugins for your plugins. This is a problem for a couple of reasons. First, the more plugins you have, the more work your website has to do while it’s loading. And second, not all plugins are created equally—poor or outdated plugins can slow down site performance drastically. Evaluate your current plugins to figure out which ones you actually need. Get rid of multiple plugins that perform the same functions, plugins that you’re no longer using, and those that were created more than 5 years ago and have never been updated. Surprisingly, you can check the performance of your plugins with…another plugin. The P3 (Plugin Performance Profiler) shows you how each plugin impacts your WordPress site load time, so you can adjust accordingly. In most cases, the homepage is the first one your visitors see. So you might have designed it to show off everything you can, in order to impress new visitors. Widgets are cool, right? But the more widgets and content you have on the front page, the longer your site takes to load. Keep in mind that a clean design is just as impressive. Don’t stick sharing widgets everywhere on your homepage (save them for the end of your blog posts, where they’ll have the most impact). Pare down and remove any unnecessary widgets or plugins. You can also speed up load times using the WordPress options to show excerpts instead of full posts, and limit the number of posts per page—5 to 7 is a good number. The higher the size and quality of an image, the longer it takes to load. 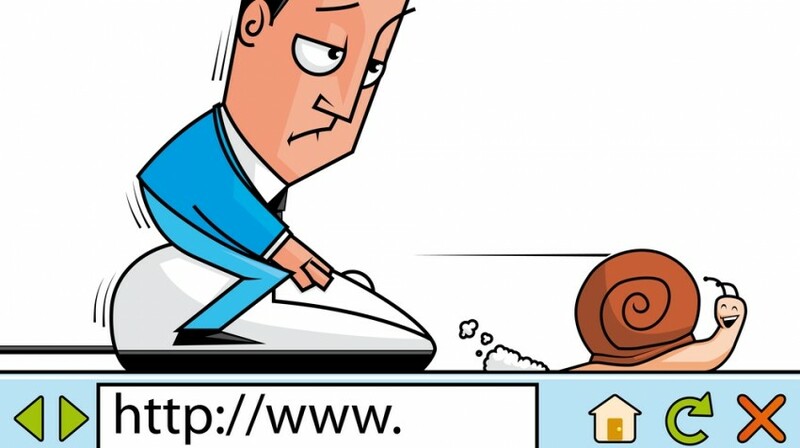 If you have amazing graphics and an image or two (or more) with every blog post, your loading time will be slower. There are a few ways to address the image issue. One is with Lazy Load—a process that loads only the images appearing “above the fold,” or on the part of the site a visitor is actually viewing. You can do this automatically with the jQuery Image Lazy Load plugin. Another is with an image optimizer program like Yahoo!’s Smush.it. You can use the tool right from the site to compact images (without losing quality)—or you can install the WP Smush.It plugin to have it done automatically when you add images to your site. Free is the best price for anything, and you may have searched for a free WordPress theme to avoid using the same themes that everyone else has. However, like free movie sites and music downloads, there’s an excellent chance that “free” theme comes with a price tag in the form of spyware or viruses, which do more than slow down your site. Unless you have a really good reason to completely trust the developer of a free theme, only use themes from the official WordPress theme repository. If you want something different, consider investing less than $100 in a premium theme. If you’re running the WordPress.org platform, you need a Web host for your site. There are free Web hosting providers, and incredibly cheap hosts. Of course, you’re interested in saving money—so you might have gone with the lowest possible price tag. But a poor Web host can hurt more than your load times. If your Web hosting solution is free or dirt-cheap, consider upgrading to a well known host, which usually runs between $4 and $8 per month. Here’s what to think about when choosing a web hosting company. Are you satisfied with how fast your WordPress site loads?